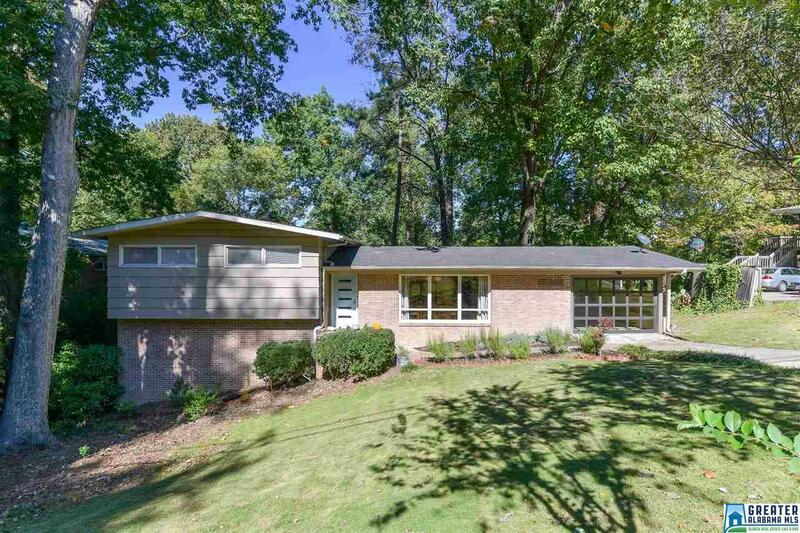 1730 Woodbine Dr, Homewood, AL.| MLS# 832668 | Richard Jacks UABLIVING.com 205-910-2297 | Birmingham AL Real Estate | Contact us to request more information about our Homes for Sale in the Birmingham AL area. Wonderful family home, so convenient to interstate, Brookwood Mall and Hospital and Samford University. Hardwood floors thru out. The kitchen has ben updated with new concrete counter tops, newly painted cabinets, some stainless appliances with double ovens. There is the very bright Living/Dining room with tons of light. The basement also features the oversized fireplace with new mantle and stained concrete floors. You will love all of the tons of storage and the workshop area. Both baths have been updated. The family and pets will enjoy the large wooded double fenced lot. This extremely attractive home has space, wonderful outside area with large deck and covered patio off downstairs den, fantastic kitchen and baths, and convenient to all shopping and interstates. A great find for Homewood area..